Tuyen Quang is a mountainous province in Northeast, located about 165km far from Hanoi, borders with Ha Giang in the north, Bac Kan, Thai Nguyen in the east, Yen Bai in the west and Vinh Phuc and Phu Tho in the south. Tuyen Quang is a province in Northeast Vietnam. 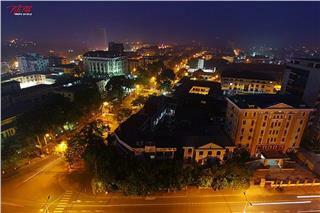 The provincial capital is Tuyen Quang city. 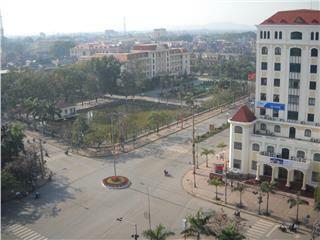 During the renovation, the Party Committee and people of Tuyen Quang continue to promote the glorious tradition of revolutionary homeland, determine to overcome all difficulties and exploit potential, promote local strengths, proactive economic integration, creating powerful breakthrough in social-economic development. Tuyen Quang is striving to become a province with the comprehensive development, to improve the physical and spiritual life of people, contribute to the building and defending the country. 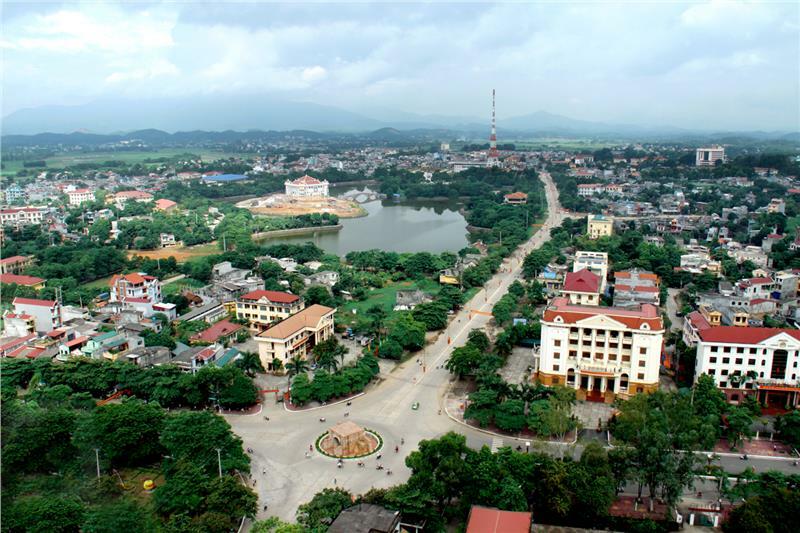 Tuyen Quang is a mountainous province in the North Vietnam, lying from 21030’ – 22040’ north latitude to 104053'- 105040' east longitude. The natural area of the province is 5868 square kilometers, accounting for 1.78% of the whole national area. The important roads in the province consist of National Route No.2 from Phu Tho to Ha Giang, National Route 37 from Thai Nguyen through Son Duong, Yen Son districts to Yen Bai. 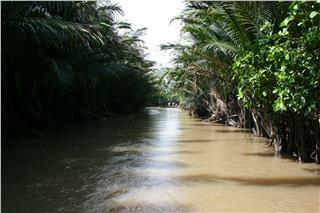 The province has 500 small and large rivers and streams passing major rivers as Lo River, Gam River and Pho Day River. 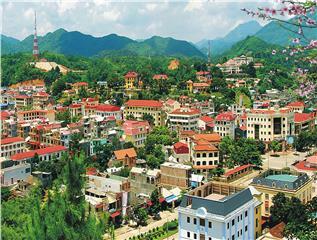 High mountainous region accounts for over 50% of the entire provincial area including districts of Na Hang, Lam Binh, mountainous communes of Chiem Hoa district and 2 communes of Ham Yen Mountain. Low mountainous region and midland occupy about 50% of the entire provincial area, including the remaining communes of 2 districts Chiem Hoa, Ham Yen and districts of Yen Son and Son Duong. 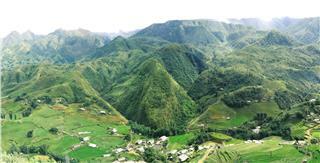 The highest peak is Cham Chu (Ham Yen) with the altitude of 1587m above the sea level. 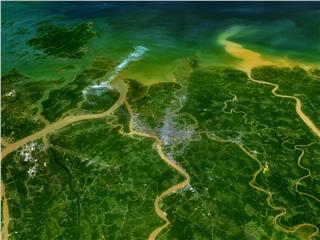 Characterized the tropical monsoon climate, Tuyen Quang climate has 2 distinct seasons. Rainstorm concentrates from May to August and often causes floods. The phenomenons of hail, whirlwind often occur in the rainy season with the annual average rainfall from 1500 to 1700mm. the annual average temperature reaches 22 - 240 C.
Tuyen Quang was once settled by Thai people, but since the 13th century, it was integrated into Tran Dynasty. Under Tran Dynasty, it was called Quoc Oai, then renamed Chau Tuyen Quang. During the reign of King Tran Hien Tong (1329-1341), Tuyen Quang was changed into "tran", and then was "phu" Tuyen Hoa when the Ming dynasty invaded Vietnam. After King Le Thai To expelled Ming invader and started Le Dynasty, he made Tuyen Hoa a part of Tay Dao. During the reign of King Le Thanh Tong, Tuyen Quang consisted of 1 "phu" and 5 districts and became Minh Quang province under the rule of King Le Uy Muc. During the rule of King Le Trang Tong, Minh Quang became An Tai and control of the region was given to Vu family, Thai ethnic people. 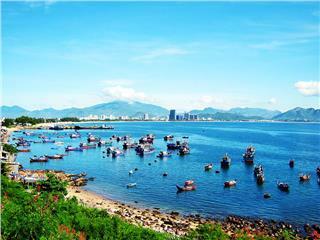 In August Revolution, Tuyen Quang was the capital city of battles fought in the region and chosen as the center of the national revolution by the Central Party and Uncle Ho. At Tan Trao, Son Duong, Tuyen Quang held the historical events associated with the national destiny. During the years of French resistance, Tuyen Quang is the revolutionary capital, and Tuyen Quang people always fulfilled the scared duty: built and protected the ATK, protected Uncle Ho, Party Committee, National Assembly, Government, and Battlefront as well as Central Ministries and headquarters of Lao revolution. Party Committee and people of Tuyen Quang had the important contribution to the battle to gain the independence of the nation. 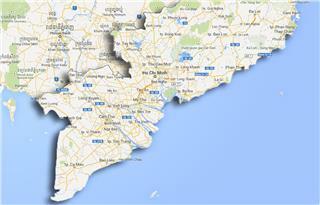 Tuyen Quang has 1 city and 6 districts with 141 communal administrative units. Tuyen Quang People’s Council is the agency of state power in the province, deciding the guidelines and measures of the province. The People’s Committee in districts of Tuyen Quang is the executive body of the People’s Council and state administrative agencies in the province. 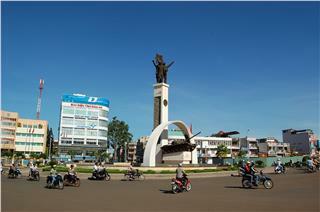 According to the population census, Tuyen Quang population was 727,505 people. In which, people in working age was 377,314 people occupying 55.80% of the provincial population. There are 23 ethnic groups living together in Tuyen Quang. The most populous group is Kinh people with 326,033 people, accounting for 48.21%. The remaining ethnic minorities relatively are Tay 25.45%, Dao 11.38%, San Chay 8.0%, Mong 2.16%, Nung 1.9%, San Diu 1.62% and other ethnic groups 1.28%. Until 2002, Tuyen Quang province universalized primary education for 100% of communes and secondary education for 135 communes. The number of doctors is 1291 people, on average of 19 doctors, nurses/ one thousand people. Health network continues to be strengthened and developed, gradually meets the demands of health care of people. 100% of communes has commune health stations; provincial hospital and regional polyclinics is equipped with modern facilities meeting the demands of people. 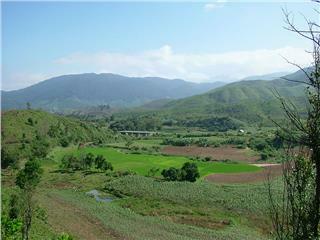 Being a mountainous province, Tuyen Quang economy focuses on the agriculture and forestry. 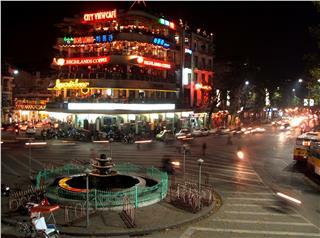 In the province-level competitiveness index rankings of Vietnam in 2011, Tuyen Quang ranked the 56th among 63 provinces and cities. In agriculture, rice is the main crop, followed by corn, cassava and sweet potatoes. Industrial crops include tea (Tuyen Quang tea factory, Thang Muoi, Tan Trao), as lemongrass to make citronella oil, peanuts, beans. Fruit trees comprise orange, tangerine, longan, lychee, lemon. Livestock includes buffaloes, pigs and poultry. The most important mineral reserves are zinc ore, manganese ore, tin and antimony. The province is also a producer of paper, cement and limestone. Tuyen Quang hydropower plant was official put into operation on January 30th, 2008, with capacity of 342MW. In 2014, the basic economic indicators of Tuyen Quang increased significantly compared with 2013. The industrial production sustained the growth rate; agriculture and forestry continue to shift towards the production of goods, some crops reached high economic efficiency; the service sector developed stably. Infrastructure system continues to be focused on investment, especially in traffic. Industry sustained the growth rate, the value of industrial production reached 100.6% of the plan, up 32% compared to 2013. Agricultural yield achieved more than 33.99 thousand tons (of which 26.47 thousand tons of rice); specialized areas developed stably with more than 8,530ha of tea, 10.717ha of sugarcane and over 7000ha of fruit trees. Implementing the management, exploitation, protection and development fishery resources, fish farming area is 11,228ha, the aquaculture production is 6.183 tons. Quality tourism service is focused; tours to the Mother land attracts over 1,000,000 tourists, reaching 105.3% of the plan; up 16.3% over the same period 2013, revenues for tourism reached 920 billion dong, reaching 104.6% of the plan, up 22.7% over the same period in 2013. 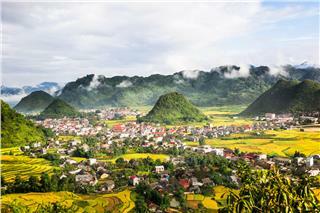 Tuyen Quang is the home to 22 ethnic groups. Each ethnic community living in this land has long-standing cultural identities, customs and habits. The characteristics of culture in the ethnic communities have created distinct nuances and become the typical intangible cultural heritage contributing to the cultural treasures of the country. Tuyen Quang has a thickness of traditional cultural values of ethnic communities with a treasure of diverse folk songs, folk dances as Then singing, coi singing, quan lang (Tay ethnic people), pao dung (Dao ethnic people), sinh ca (Cao Lan ethnic people), soong co (San Diu ethnic people). In addition, the folk festivals imbued with unique cultural features (the solemn rituals and traditional festival) as Long Tong festival (Tay people), Cau Mua (festival praying for good weather), the rite of maturity (Dao ethnic people), nhay lua (Pa Then ethnic people). Tuyen Quang tourism is well-known for not only historical relics as Tan Trao - ATK, Kim Binh but also many fascinating scenic spots. 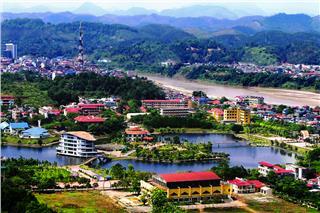 Coming to Tuyen Quang, any tourists want to once visit historical, cultural and ecological tourist site in Tan Trao (Son Duong) - the capital of Resistance. This is a relic associated with Vietnam's revolutionary history and President Ho Chi Minh before August Revolution 1945 and during the French resistance. Famous places as Hong Thai temple, Na Lua shack, Tan Trao banyan tree, residence and work office of the ministries and central agencies... during the resistance against the French colonialists. Tan Trao relic ranked the national relic. This relic welcome hundreds of thousands domestic and foreign tourists each year. Tan Trao is forever the pride of Tuyen Quang people in particular and Vietnamese people in general. 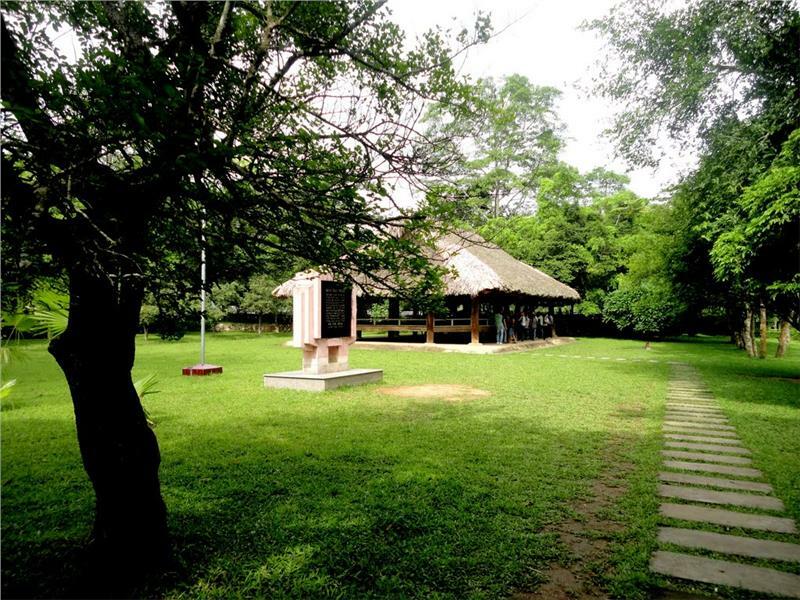 Located 15km from the city center of Tuyen Quang to the southeast, My Lam mineral spring is a renowned place of Tuyen Quang. There is underground mineral water source, discovered from the 60s of last century. Immersed into a tub filled with warm mineral water, mineral mud, tourists not only feel comfortable and relax after stressful days of work, but also enjoy the quiet nature and gentle and hospitable people here. The sweet flavor and fragrance of upland sticky rice, the taste of sesame in com lam (tube-bamboo rice) also attract any tourists coming here. Ban Ba waterfall situates in the mountainside of Phieng Khang, Trung Ha commune (Chiem Hoa) is a national scenic spot appealing tourists by the majestic and poetic beauty. Ban Ba waterfall flows from the 100-meter high mountain through the mountainside and down the valley. This waterfall is unique because it is an uninterrupted chain of waterfalls; three-storey water pours from an altitude of tens of meters into the waterfall and is dotted other small falls. 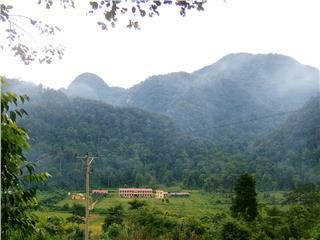 Along the mountainside are villages of Tay people, Nung people and Dao people. 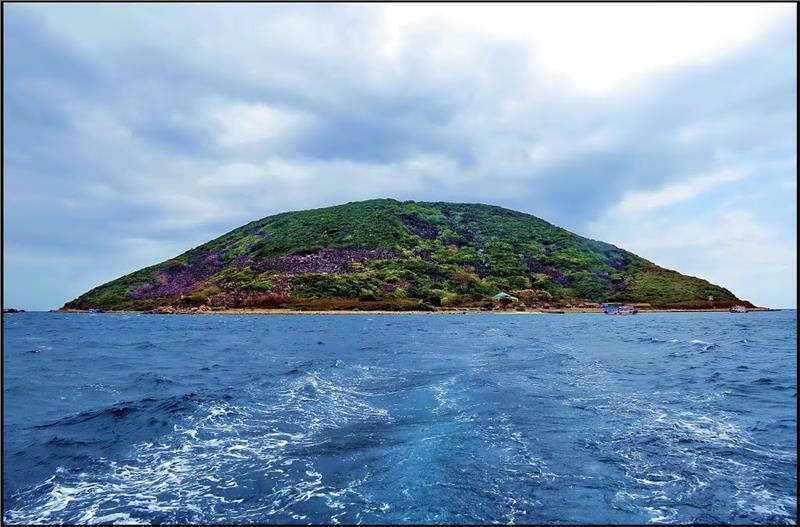 Coming to attractive tourism spots in Tuyen Quang, tourists cannot ignore Tien Cave (Ham Yen). Tien Cave population consists of 6 caves: Tien Cave, Thien Dinh Cave, Dan Da Cave, Tam Phu Cave, Thach Sanh Cave, and Tom Cave... Among them, Tien Cave is considered a masterpiece of nature. Going into the cave, tourists will be surprised by shimmering exotic image of birds and animals creating a colorful abstract painting. 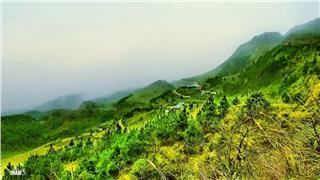 On the top mountain, tourists can see small bamboo forest planted between rock fields. 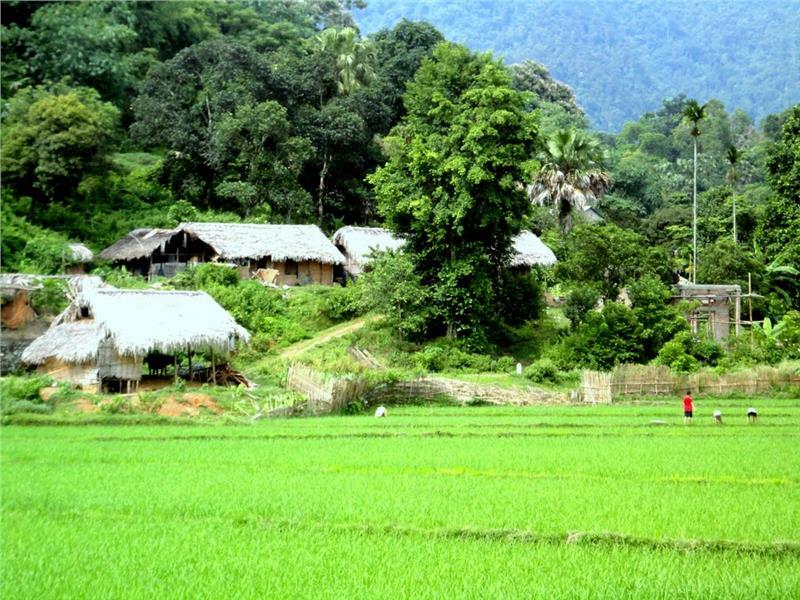 Located in the north of Tuyen Quang province, Na Hang district attracts tourists by a diverse biodiversity area with many mountains, primitive forests, rivers and streams. Nature has endowed the majestic landscapes and precious natural resources. People in Na Hang has created a rich cultural treasure, a unique folk songs with then singing, Sli singing, Luon singing... along the sound of dan tinh and khen. Traveling Na Hang, tourists should not miss the chance to go sailing on Tuyen Quang hydropower reservoir, to be immersed into the immense natural river, rolling mountains and heard stories about the legends of each landmark here. 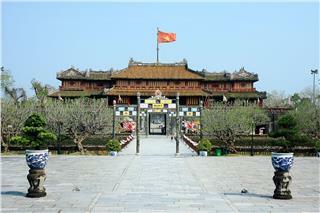 Besides, tourists can visit spiritual attractions as Ha Temple, Mother Y La Temple, Canh Sanh temple, Thuong Temple, so on. Boat racing on Lo River is held in Lunar New Year, is the festival reflecting the daily life associated with river of people living in two sides of Lo River and expressing the chivalry of Tuyen Quang people before the harsh challenges of nature and the desire to conquer nature, against invaders defending the country. The festival is held in the 4th day of the New Year. 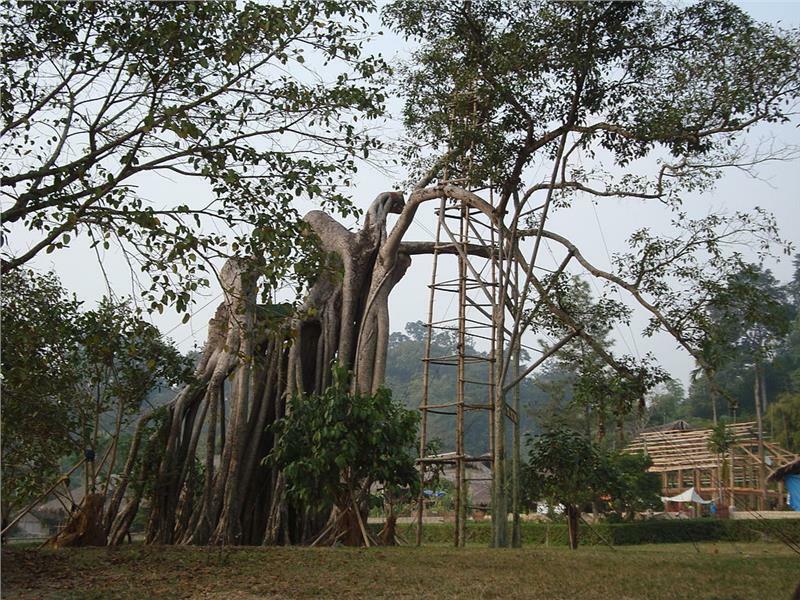 Ha Temple festival is annually held in the January to commemorate the merits of 2 princesses Ngoc Han and Phuong Hoa. The festival reflects the beauty of the Vietnamese culture, it is tradition "drinking water, remember its source". Street festival is the distinctive cultural activity of ethnic groups in Tuyen Quang with sweet folk songs, rhythmical folk dances in sparkling colors of the full noon night. 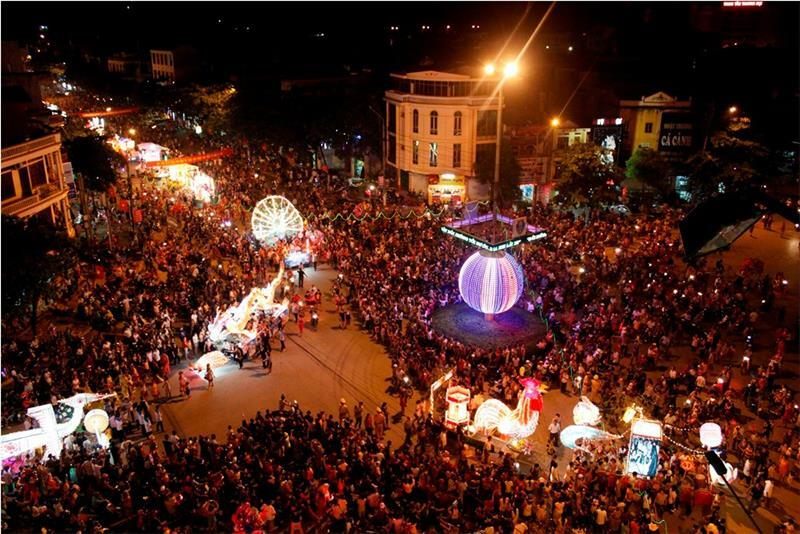 The street festival of Tuyen Quang city is recently formed and developed. This is a cultural activity totally derived from cultural life, the spirit of ethnic people in the province. It is taken place with activities as making lanterns with the image of animals, places including Mac dynasty citadel, Tho Son Mountain, La Nua shack to parade on the streets, besides folk dances as mouse wedding, Dragon dance... and even modern dance. 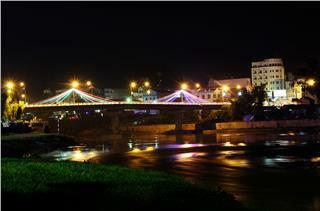 Currently, this is the most preferred festival in Tuyen Quang. Being a mountainous province in northeast region of Vietnam, the root of Vietnam revolution, Cao Bang is striving to overcome difficulties, developing the social-economy, tourism and improving the lives of people. 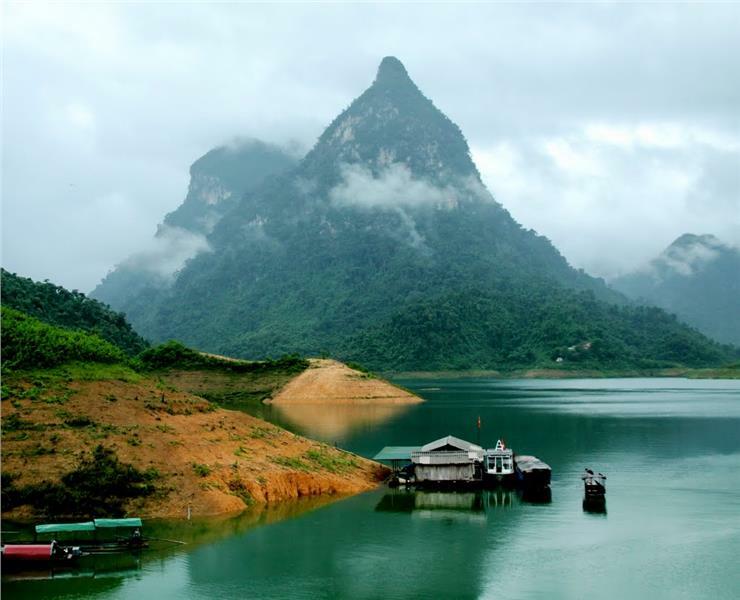 Bac Kan is endowed the potential for the socio-economic development with resources of forest, soil, mineral and Ba Be National Park which has Ba Be Lake - one of 20 large freshwater lake in the world. 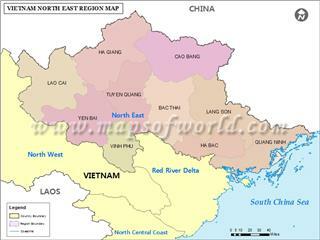 Thai Nguyen is a province in northeast Vietnam, adjacent to Hanoi and located in Hanoi Capital Region. Thai Nguyen is a big economic and social center of the region in particular and the Northern midland and mountainous region in general. Phu Tho situates in the confluence, the western gateway of Hanoi, bridging the provinces of North Delta to the northeastern provinces. 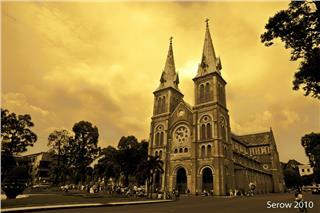 It is considered the ancestral land of Vietnam where Hung Kings established the first country in Vietnam history. 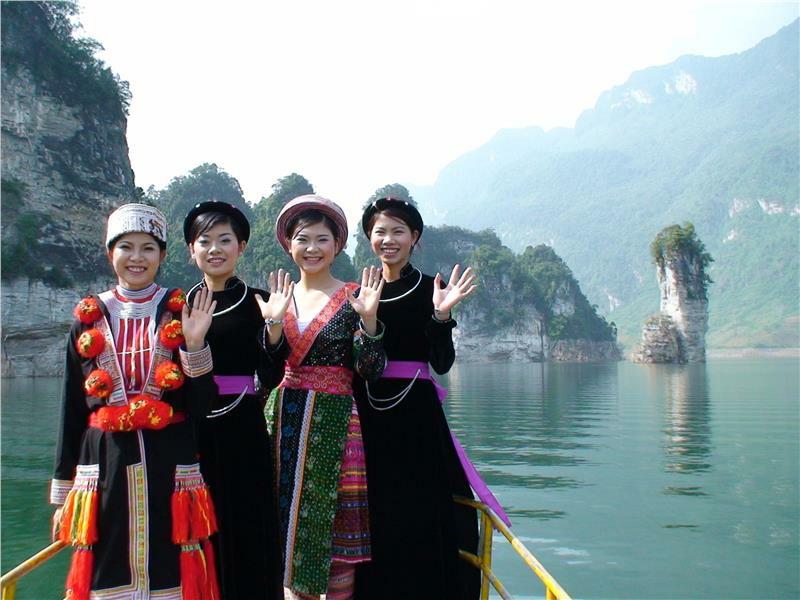 With many people living together during the long history, Ha Giang is the area with the diversity of cultural identities of ethnic minorities expressed through cuisine, costumes, festivals and custom. Located on the 2 important economic corridors with poetentials of land and mineral resources, Bac Giang has many favorable conditions to develop economy. In addition, this province preserves the special cultural and historical traditions. 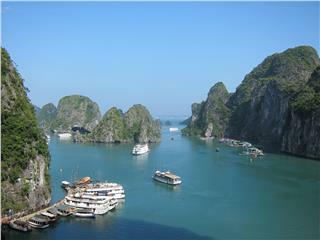 Quang Ninh is located in the Northeast of Vietnam with the Halong Bay - world natural heritage. 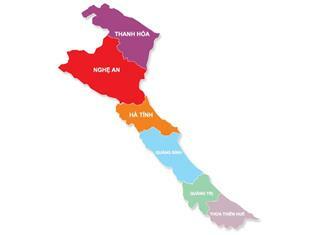 The province shares border with Hai Duong and Haiphong in the southwest and provinces of Lang Son, Bac Giang, and Hai Duong in the northwest. Lang Son is a mountainous province in Northeast Vietnam with 253 km border line, has national and international border gates, the gateway to economic and cultural exchanges with China. These are the fundamentals creating the rich in Lang Son culture.